Ilya Raskin, Ph.D., President of GIBEX, has over 25 years of experience in academic research in plant biology, phytochemistry and pharmacology and 5 years of experience in industrial research in plant biotechnology at DuPont Co. Dr. Raskin received a Ph.D. from Michigan State University in 1984 and joined the faculty of Rutgers, The State University of New Jersey, in 1989 where he currently works as a Distinguished Professor and President of the Global Institute for Bio-Exploration (GIBEX). Dr. Raskin is also a member of the NIH Center for Botanicals and Metabolic Syndrome and a founder of three biotechnology companies spun-off from Rutgers University. Dr. Raskin earned an international reputation through his work on plant growth regulation, plant immunity to diseases, phytoremediation, and, in the last two decades, for his research in plant-derived functional foods, medicines and cosmetics. He is also actively involved in international bioexploration and conservation, leading programs in Africa, South America and Central Asia. Dr. Raskin&apos;s research is featured in over 220 scientific publications and in numerous popular press articles. 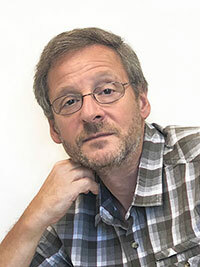 He has been listed as one of 108 most cited researchers in Plant and Animal Science. His most cited scientific publications include four cover articles in Science and Nature. Dr. Raskin was awarded 22 patents covering the discoveries made in his laboratory. Dr. Raskin has received a number of prestigious awards, including the Albert Shull Award for outstanding contributions to plant biology and the Thomas Alva Edison Patent Award for revolutionary product innovation and scientific breakthrough. Dr. Raskin was named the Century Innovator in Botany by the U.S. News & World Report.